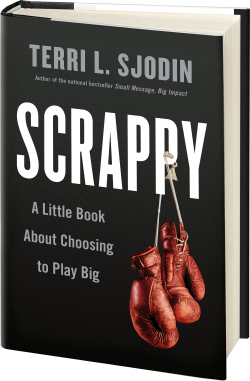 The illustrations in the book Scrappy focus primarily on how an individual’s scrappy attitude, effort, strategy, and execution can change his or her circumstances. That said, sometimes it’s necessary to encourage the idea of getting scrappy across a large group of people within an organization to adapt to or change circumstances as well. As a leadership platform, inspiring a scrappy culture can be a great strategy to help increase production and generate business. The question is: Is there a common denominator within companies or organizations that have fostered a scrappy culture? The answer is yes and it is tied directly to the leadership within the organization. It does not grow from the field up – it is inspired from the top and infused into the culture. Are willing to get their hands dirty and literally get in the game with the team. They employ scrappy efforts themselves. Foster an environment of creative freedom to execute ideas. Recruit, cultivate, and support talent that thrives in a scrappy environment. Nurture and develop what others might consider “rogue” talent. Troy is a scrapper! As a leader, he is fighting to make an impact on health care reform and fostering an environment of creative ideas and strategies for his team. After reading Scrappy, he even decided to make it the theme of his 2017 Lakeview Hospital Strategic Planning Session. 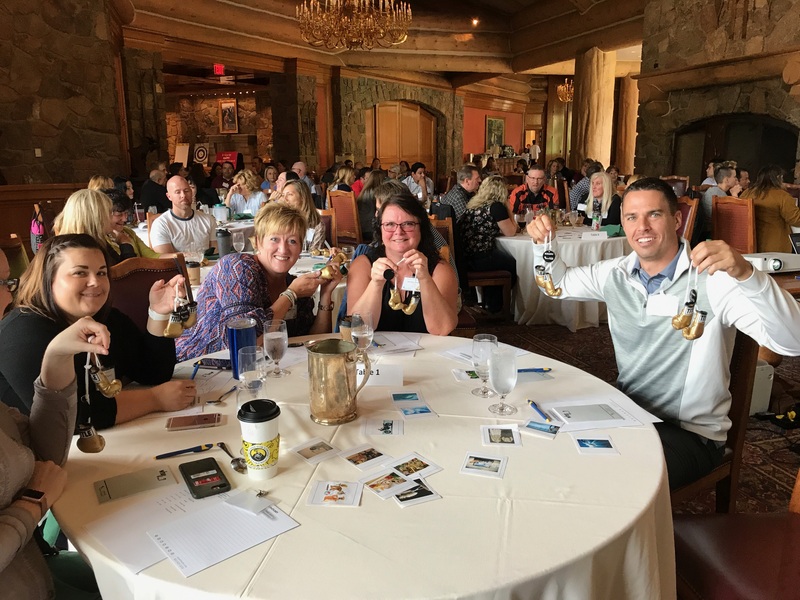 The event hosted over 100 people and he successfully integrated the new theme throughout the meeting with fun interactions and even custom gold boxing gloves to encourage people to develop more scrappy ideas. He graciously shared a few pictures with us from the event to share with you. Please see below. 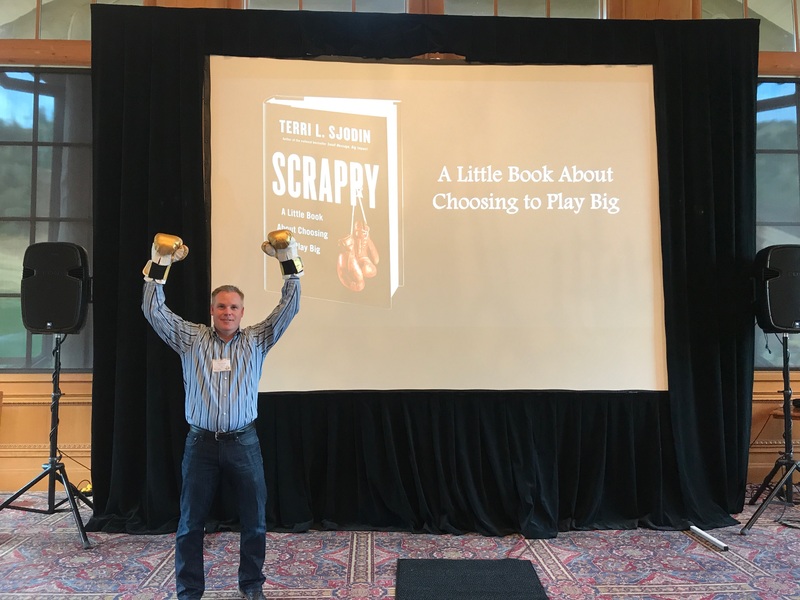 Thank you, Troy, for your support of Scrappy! Wishing you and your team a super successful year ahead. 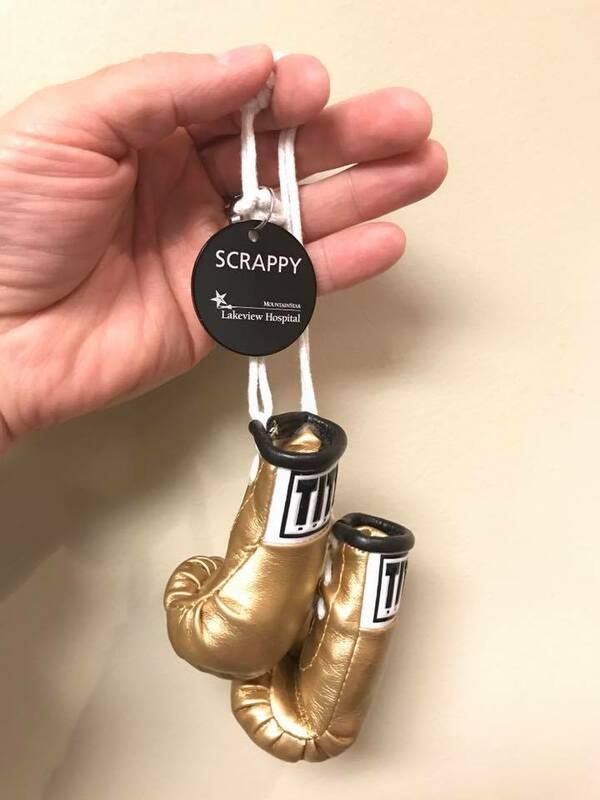 If you’re interested in making Scrappy a 2018 theme for your meeting, give us a call! We are happy to help you brainstorm some ideas.